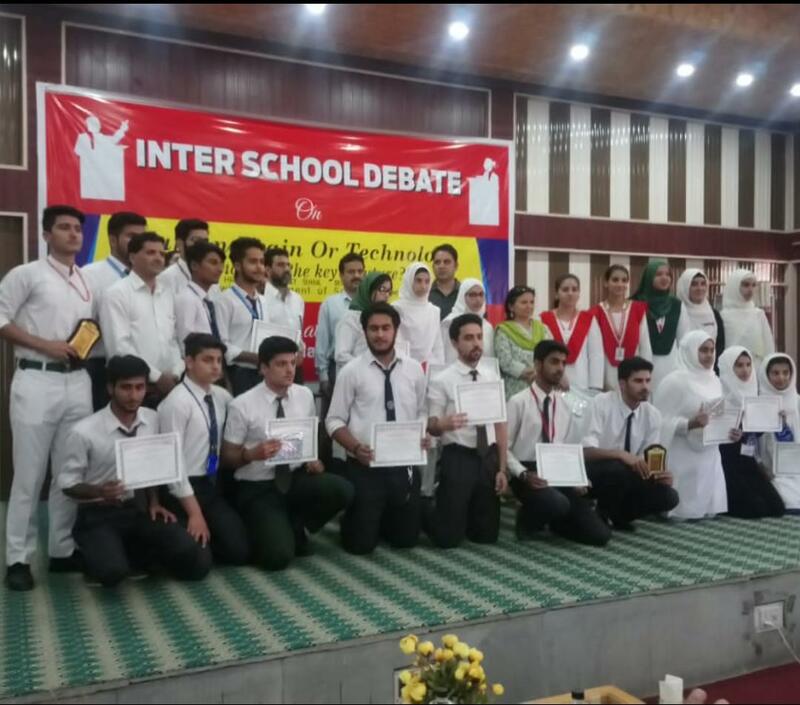 Two students of DPS Srinagar, Babar Bilal Malik (12th D1) and Asma Shakeel (11th D2) participated in an Inter-School Debate Competition held in SP Hr. Sec. School, Srinagar on the 4th of September . The topic for the debate was “Human Brain Vs. Technology- Who holds the key to the future” and saw the participation of 22 teams from various schools of the city. DPS Srinagar students outshone all others with their eloquent presentation and unquestionable content and won laurels for the school. Babar won the 1st prize in the debate and Asma was awarded a consolation prize, being one of the most appreciated speakers in the competition. The chief guest for the event was Mr G N Itoo, Director School Education Kashmir. Pro-Vice Chairman Mr Vijay Dhar and Principal Mr Alistair R A Freese extended their heartiest congratulations to the students on their success.